Hindaun is located in the Karauli District of Rajasthan State. This city is getting popular as it has become one of the important centers of stone industry. Hindaun is also very famous for its significant religious and historical monuments. The city has been associated with ancient civilizations of India. As the region is being mentioned in the Puranas and the great epics of India, you will have many important places to see in Hinduan. Apart from having some enjoyable time in Hindaun City, you can arrange for a one day trip from Hinduan. Different cities and towns is near proximity of Hindaun i.e. Gangapur, Karauli, Bharatpur have very interesting places to visit. Places like Jaipur, Agra etc. can be reached from Hindaun via road and tourists could enjoy important tourist places situated here in these cities and towns. This article will provide you information about different places that you can visit within a day from Hindaun. Hindaun is a city located within Karauli District. Karauli is a place that is known for its spiritual and historical network. Karauli houses many important historical monuments and religious places. Karauli has many types of accommodations available for the visitors. Shri Madan Mohan Ji Temple, Shri Mehandipur Balaji Temple and Kaila Devi Temple are the famous religious places of Karauli and it is considered as one of the most important pilgrimage places for Hindus. 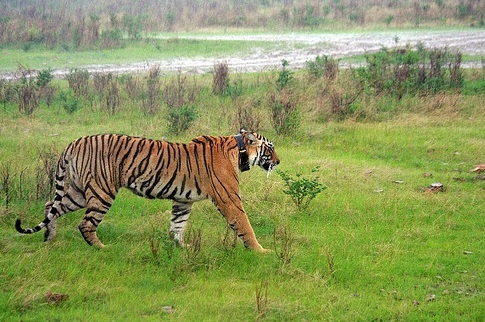 Karauli is rich with many types of flora and fauna and tourists could enjoy all of them in the nearby Kaila Devi Wildlife Sanctuary which is a part of famous Ranthambore Tiger Reserve. In Karauli, people flock in huge numbers during the Kaila Devi Fair that is one of the famous fairs of Rajasthan. You can travel from Hindaun to Karauli City by road. The distance between Karauli City and Hindaun is about 33 KM and the total time taken is 30-40 minutes by road. Though Karauli can be visited throughout the year yet the best time to visit this city is from mid September-March/April. You must book your accommodations and tickets much in advance if you want to become a part of Kaila Devi Fair organized at Karauli. The first thing that comes into your mind when you talk about Bharatpur in Rajasthan is the bird sanctuary situated here. Bharatpur is one of the important tourist hubs of Rajasthan and every year thousands of tourists gather here for bird watching. Bharatpur has many other places to visit. Other places of interest in Bharatpur are Lohagarh Fort, Bharatpur Government Museum, and Ganga Temple of Bharatpur. The distance between Hindaun and Bharatpur is about 78 KM and the total time taken to travel by road is 1 hour 30 minutes. 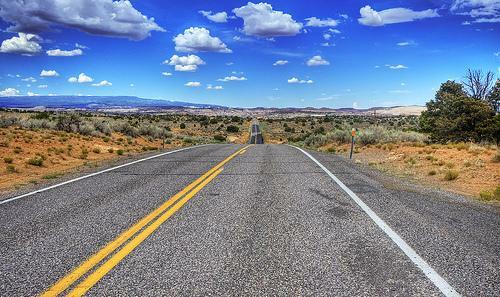 The most comfortable way of traveling is by road. 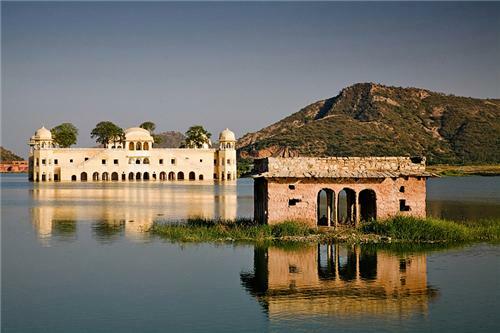 Jaipur, a wonderful tourist destination of Rajasthan is located within 200 KM of Hindaun. If you want to explore the culture and heritage of Rajasthan then you can always plan for a one day trip of Jaipur from Hindaun. 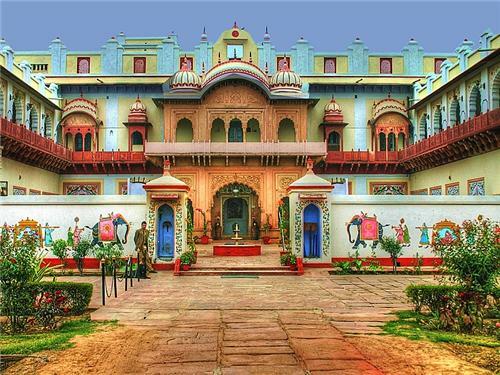 Jaipur, a city of palaces has many other monuments and interesting places to visit. The must see places of Jaipur are City Palace, a palace with an architecture of Mughal and Rajput style; Jantar Mantar, an observatory built by Maharaja Sawai Jai Singh (II), Hawa Mahal, a marvelous palace built by Maharaja Pratap Singh, Jal Mahal, a palace located in the middle of Man Sagar Lake, Jaigarh Fort, a beautiful fort built on the top of a hill and others. The total distance between Hindaun and Jaipur is about 158 KM and the time taken to travel between the two cities is about 2 hours 30 minutes. Agra, a city that is considered as the epitome of love because of the great monument Taj Mahal, can be covered during a one day trip from Hindaun. Apart from world famous monument, the Taj Mahal, Agra has many other historical wonders for its visitors. Agra boasts the famous monuments like Agra Fort, Moti Masjid, Jama Masjid, Tomb of Akbar the Great, the Sikandara Fort, Bhageswarnath ka Mandir, Jodha Bai ka Rauza, Jahangir’s Palace, the Octagonal Tower, Mehtab Baagh and many more. 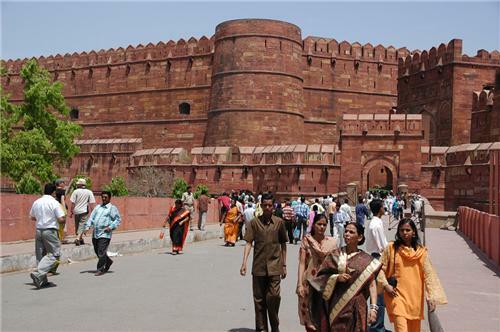 Agra, one of the most important tourist destinations of north India is just 2 hours and 10 minutes drive from Hinduan. You can always get trains connecting Hindaun and Agra but the best way to travel is by road. Many hire private cars to travel between these two places. Agra can be enjoyed the most during the months September-March as the weather remains pleasant during these months.